Just got delivery of my 2018 Hyundai i30 SR Premium!! WOOOO! But the interior and number plate halogen bulbs are a disappointing yellow (which is weird given the rest of the car has LED lights right!?). These seem to be plug and play -> have I made a prematurely bad purchase or am I right in thinking that its a simple swapout? Have I made the right bulb choice? These also seem to just be a plug and play -> what do you guys think? Now, I have no idea what a canbus is - is that something I need to worry about when it comes to changing the interior lights to LED lights? In terms of number of LEDs per light and type of LED, these are T10 5 LED 5630 SMD - does that sound appropriate? Thanks so much for all and any advice!! And thanks for putting up with my ignorance! LED T10 can be used to replace the W5W type bulbs that are fitted to many of the low-wattage lights in your car. So, your linked examples seem to be right. However, the interior lights (map, room, vanity, luggage) bulbs are mainly festoon type. Search ebay for "festoon led". You will need to measure the length of your current festoon bulbs to get the matching LEDs, typically 31mm or 36mm. 36 will do the dome and boot, 31 will do the sun visors. Found the type of lights that the i30 uses in the user's manual which I have attached for everyone's convenience. - Anyone have any further info regarding the canbus and whether or not I need to start learning about it? - How do I safely open the housings for the lightbulbs? I like your attitude. Appreciative and considerate (you will fit in well). Canbus becomes important for high wattage such as exterior illumination but for cabin lighting your eBay cheap stuff (I've found 2 for $1) will do just fine. As for opening lenses, it's always tense the first time but have patience and find the side and angle that works best for pulling it away from the lining. There is no need to disconnect the battery. Just ensure that the light is off while changing the bulb. Since the back of the festoon bulbs have a large metal heat sink, there is a minor risk of shorting the socket's terminals while you're plugging them in; This is not an issue if the light is off. Also, remember that the LEDs have polarity. So, if you plug one in and it doesn't light up, try replugging it rotated 180 degrees. So with relation to removing the lens covers, I have found this in the owner's manual (see picture). The rear passenger side lights (my car has a moon roof and therefore no central dome light) they say to get removed by an 'authorised Hyundai dealer' and don't provide any info on how to remove them! Can anyone think of why? Or have insight into how I could do this safely myself? Used a 31mm festoon LED for interior, and T10 LEDs for map reading. I was bit ham fisted when changing my interior festoon and blew fuses twice as inserted LEDs with wrong polarity & then had to turn them 180. Any advice on knowing, before putting the LEDs in, which orientation is correct? And still the query regarding the correct way to remove the rear passenger side light lens - insights? I'm sure there is a way for determining polarity with Identiification on LED. Most of my LEDs have been from China so my Chinese is a little rusty. Thee are plenty of spare fuses in panel under driver dash, and they are easy to change if it does go wrong. As others have said just make sure light is switched off first . It is quite easy to remove fuse using supplied fuse holder tool for interior lighting too, replace led & reinset fuse. Switch on & let there be light. If not repeat process. It won't damage The LED. Hey, @DeeTee are you still around? Did you manage to remove the lenses safely? I'm about to swap out my visor bulbs and don't want to cause any damage. Hi, can somebody tell me dimensions of interior festoons for i30 GD (2013)? I want to replace them with LEDs. I used these in my wife's 2014 GD Tourer.. I assume the hatch would be the same. Thanks, are they all 31mm? Dome map, sunvisor mirrors, glove box and trunk? I don't have the sun visor mirror lights so I'm not sure about that one but the rest of the interior lights and trunk are 31mm except for the glove box which is T10. All bulbs should be listed in your owners manual for reference prior to purchasing. I unscrewed the upper console (having done it a few times to install the reversing camera mirror and dashcam) and note that the map light bulbs are not festoon type. I guess that makes them T10. Is that right? They go in with a half turn of their bases. Should I be looking for the LED on the bulb only or with base included? 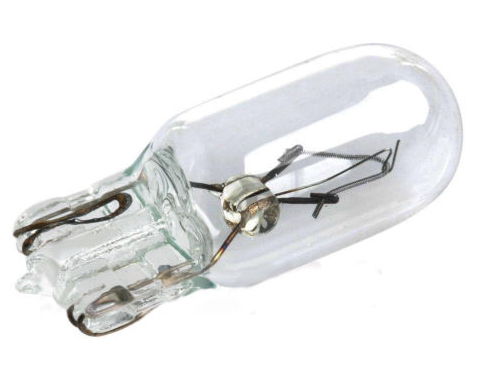 @The Gonz T10 are the same base as these Gonz 4X WHITE T10 7020 SMD 10 LED W5W WEDGE TAIL SIDE CAR LIGHTS TURN PARKER BULB | eBay they are one piece so don't pull em apart the socket they connect to can sometimes need twisting to remove like with park lights but the bulb itself will just pull straight out. Thanks, @CraigB . I'm just not confident that I can spot the 'twist lock' shape in the rim of the LEDs pictured on eBay. I might dive back into the ceiling to look at the originals closely again. Can you take a photo for us to study Gonz? those ebay T10's I posted don't twist, they're exactly the same fitment as the later halogen bulb I pictured which just pull straight out. or the ones you suggested, but that should mean any of these LEDs should plug into the original twist lock sockets, right? I see now what you mean, yes all the T10's mentioned will plug into those like normal, they're just a removable base which I've not seen used in Hyundai before. I put some T10s in successfully recently, really liked them. Then later, when it came to the festoons, all was good initially on the centre light but I think I pushed my luck on doing the vanity lights too (even though I never use them) and managed to blow a fuse. As far as I can tell, while the fuse panel has a number of "SPARE" slots, none of them include the 7.5A fuse for the lights? Or was I just blind? @cazlar so T10 is the one to go for the 2 lights on the roof? Can you send me the link, I tried to look above yet with so many links it is confusing. May be able to get a touch cheaper from other ebay stores but my earlier order from HK never arrived so I went with one with local stock to get quicker. That's for the double-light in between driver and passenger in my car without sunroof. I don't think you have the light behind it that I also have (i.e. centre light between the 2 rows) due to your sunroof. That one is the festoon shaped bulb. I would like to do the LED conversion as well, so thanks for that link. Do you find they are bright enough ? I was unsure whether there was a festoon in there or a T10. Did you have any problem removing the lens on the map light, I had a bit of a tug the on it the other day but chickened out when it didn't want to let go. You may be able to get brighter LEDs but yeah those were bright enough. For removing, you want a small screwdriver and be slow/gentle but also firm when needed - they don't just pop out super easily. Gotcha, I'll order the lamps tonight and have another go., Thanks.